Summer is here, and our pool bath will be getting way more use than normal. 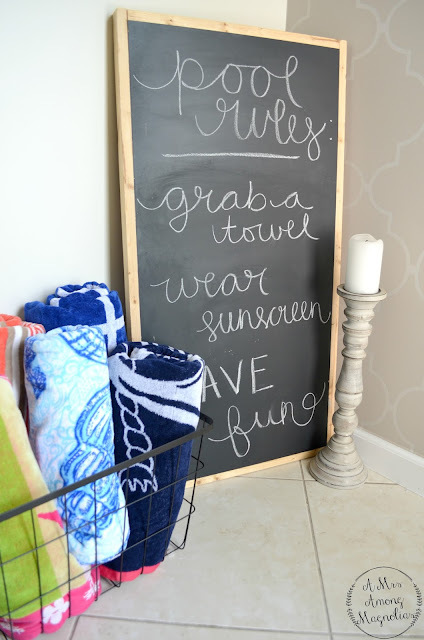 Wet feet will come in and out, so I have stocked our pool bath with plenty of towels and a little Pool Rules reminder. I love the wallpaper in the bathroom. It adds visual interest to a somewhat small bathroom. (PS- if you follow the link to the wallpaper, I want to warn you that it looks much darker online than it does in person! Even the stock photo vs my photo is much different.) 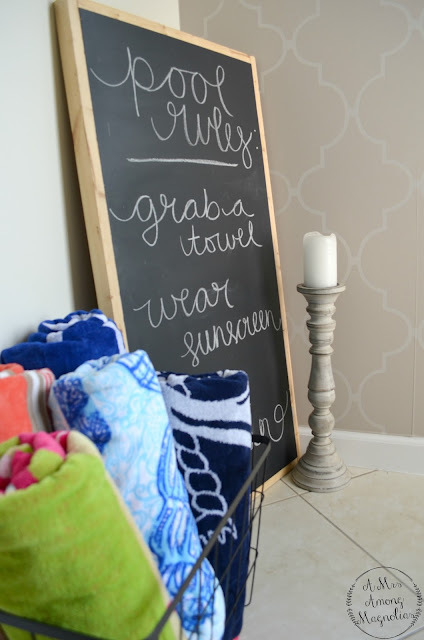 The wall color is White Duck from Sherwin Williams. 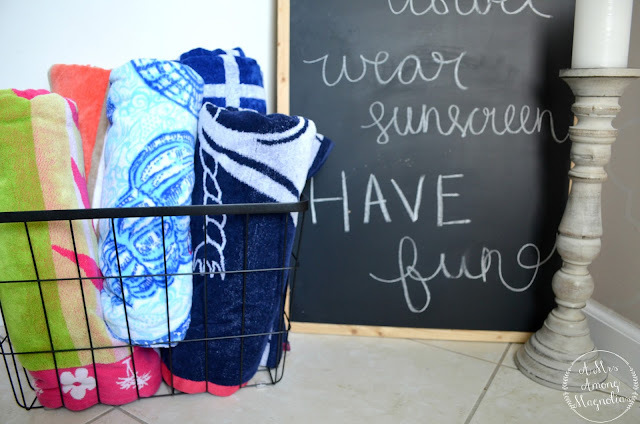 Keeping towels stocked in the pool bath is a must! Someone is always bound to forget their towel, or the floor will get wet, so its great to lay down to keep someone from slipping. 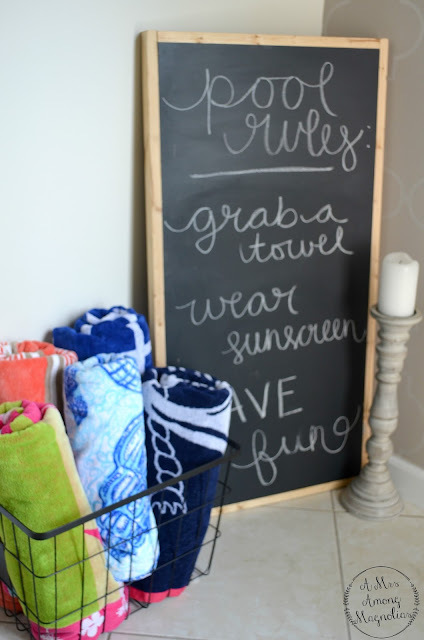 This chalkboard was super easy to make, and you can make it in any size you want! I got the chalkboard piece cut at my local hardware store, along with the side pieces. Once I got home, I used a nail gun and wood glue to put the sides together. Then I added support across the back. After the glue dried it was good to go! I hope that you are all ready for the summer! What have you done to prepare?